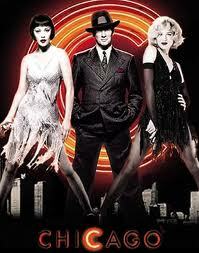 Review: Velma Kelly and Roxie Hart have both committed murders and both end up on death row together. They both fight for fame that will keep them from the gallows in 1920s Chicago. Brilliant film!!! Excellent performances from the whole cast. In 2003 it won about 7 Oscars. They were for Best Actress in a Supporting Role for Catherine Zeta-Jones, Best Art Direction-Set Decoration (art director) and (set director), Best Costume Design, Best Film Editing, Best Picture and Best Sound. At the Baftas it won 2 awards. That was Catherine Zeta-Jones again for Best Performance by an Actress in a Supporting Role and the other award goes to the Best Sound in the film. It picked up 3 Golden Globe Awards. Best Motion Picture, Richard Genre for Best Performance by an Actor in a Motion Picture, and Renee Zellweger for Best Performance by an actress in a Motion Picture. This is on Barry Norman’s list of 100 Greatest Films of all time that he produced at the start of 2012.